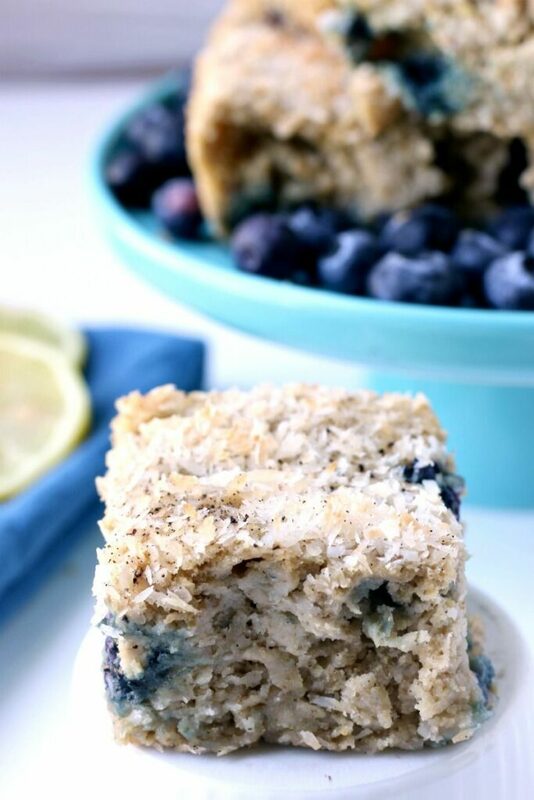 Each delightful bite of this Blueberry Lemon Snack Cake is bursting with fresh berries, lemon & sweet coconut. In full disclosure, I absolutely love this Blueberry Lemon Snack Cake. I love how each ingredient shines through on its own and I love how simple & unpretentious it is. No layers, no frosting, no ganache, no sprinkles…. 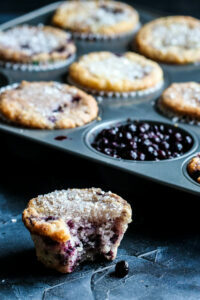 just fresh blueberries + tart lemon + chewy coconut to delight your taste buds. 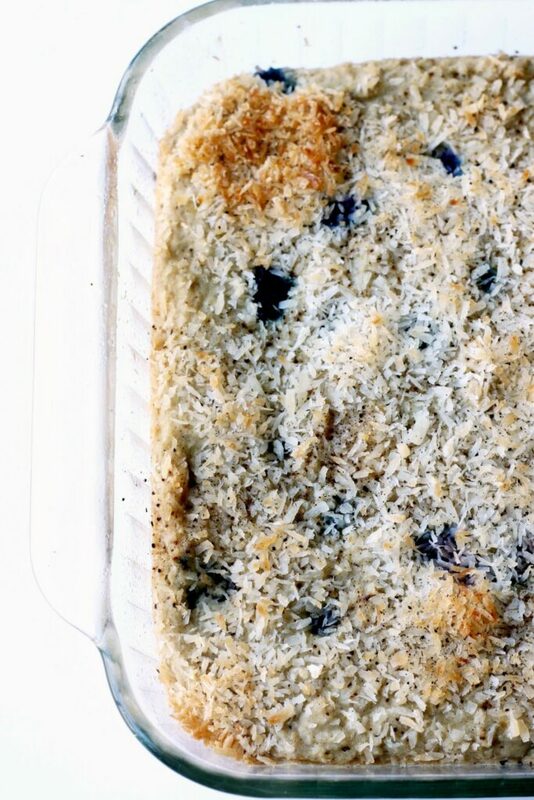 Blueberry Lemon Snack Cake follows its own rules. It doesn’t conform to the way we think of traditional cakes and may leave you questioning if it is indeed a cake. If you think about it, it’s a cake you can eat with your fingers while leaning over the counter, talking to your girlfriends. You can throw it in a lunchbox without being judged that you put “cake” in your kids lunch and you can eat a slice of it for breakfast with your coffee or tea. “Pinky up” anyone? I like rebel cake  . I also like that you don’t need to pile on the icing, because this snack cake is fabulous on its own. A little touch of toasted coconut + a sprinkling of decorators sugar (if desired) is all you’ll need to bring a smile to your mouth. Although if you love lemon and a little icing, check out my friend Chrystal’s Gluten-free Lemon Cupcakes. They are also dairy and nut-free. 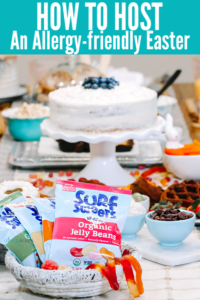 You’ll love this snack cake because it’s…. 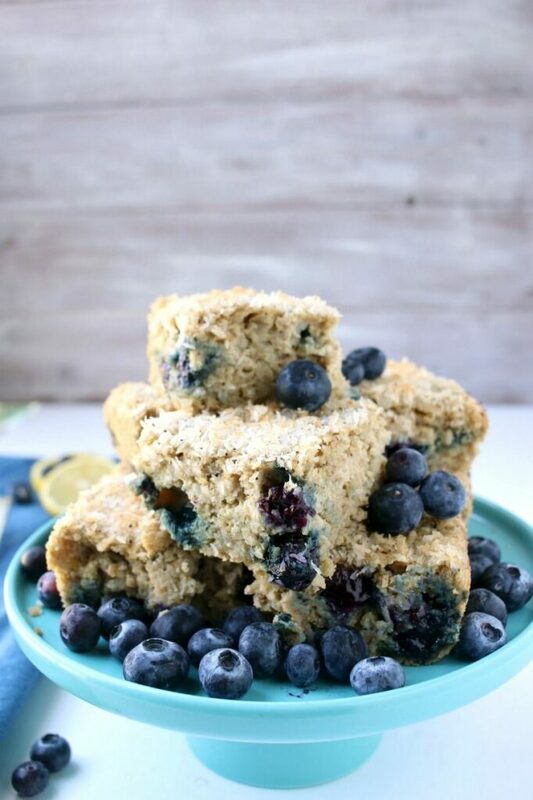 What makes this Blueberry Lemon Snack Cake stand apart from the others is that it is vegan, gluten-free & nut-free. As a bonus, since maple syrup is used as the sweetener, it is also refined-sugar free. “Woo-Hoo”  gotta love that! 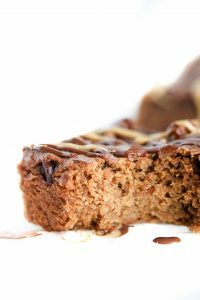 It’s a healthier, allergy-friendly & vegan dessert that will have you craving 2 slices without feeling guilty at all! 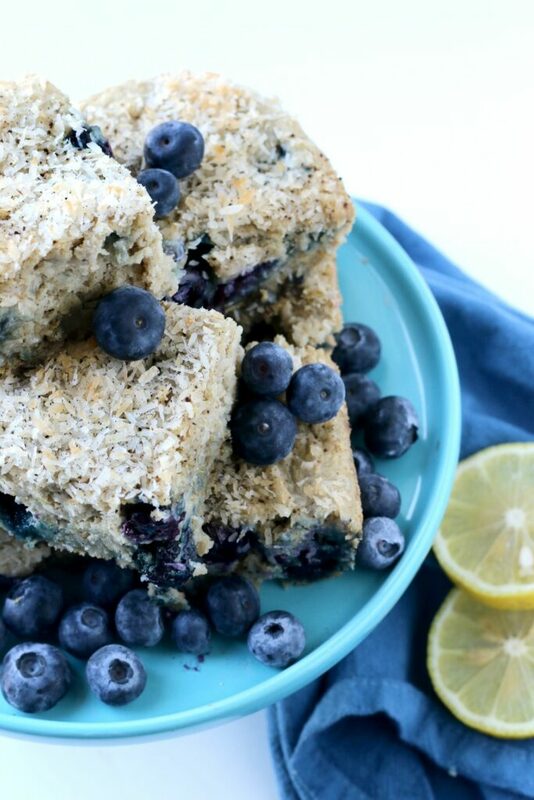 When you try this Blueberry Lemon Snack Cake recipe, let me know what you think! Leave a comment below, and don’t forget to snap a pic and tag it #allergylicious on Instagram. I  seeing what you make! 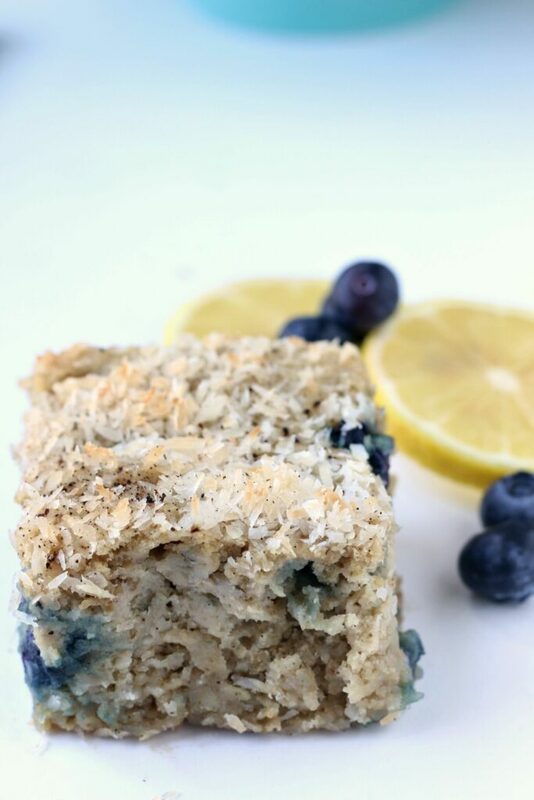 This delightful Snack Cake is made from scratch & bursting with fresh flavors of lemon, coconut & blueberry. No icing needed. Preheat oven to 350°. Lightly oil an 8×8 non-stick cake pan. In a large mixing bowl, combine all dry ingredients: shredded coconut, oats, flour, baking powder, baking soda, cinnamon & salt. In a medium mixing bowl, combine all wet ingredients: vegan egg, coconut milk, lemon zest & juice, vanilla, & maple syrup then whisk together. Pour wet ingredients into dry and stir together just until combined. Fold in blueberries then pour batter into prepared pan. Sprinkle with extra shredded coconut. Bake 30-35 minutes or until center comes out clean. Let cool in pan then cut into equal sized squares. There’s just something special about a dessert, bursting with blueberries, don’t you think? So while you are “pinning” this Blueberry Lemon Snack Cake, don’t forget about these from Allergylicious: Blueberry Lemon Cupcakes , Blueberry Muffins & one of my favorites, Gluten-free Blueberry Banana Cake. YUM! So you say snack…that means I can eat it all day right? Blueberries and lemon. YUM! Heck ya Sophia! Snack away. Such a yummy and nutritious snack. We love baked goods with blueberries. Yum! It sure is! I love adding blueberries & its GF so you can have it too! I really like how you added that this is perfect for breakfast! I was thinking that maybe I would sneak one or two of these in the morning! What a delightful cake Nicole! I’m actually struggling with a recipe right now using just maple syrup. But your recipe looks spot on! It can be hard to use maple syrup instead of sugar. Typically I have to lower the liquid by 1/4 and then add as I go until I figure it out. But well worth it playing with it. I can’t wait to see your recipe, I’m sure it’ll be fabulous as always. 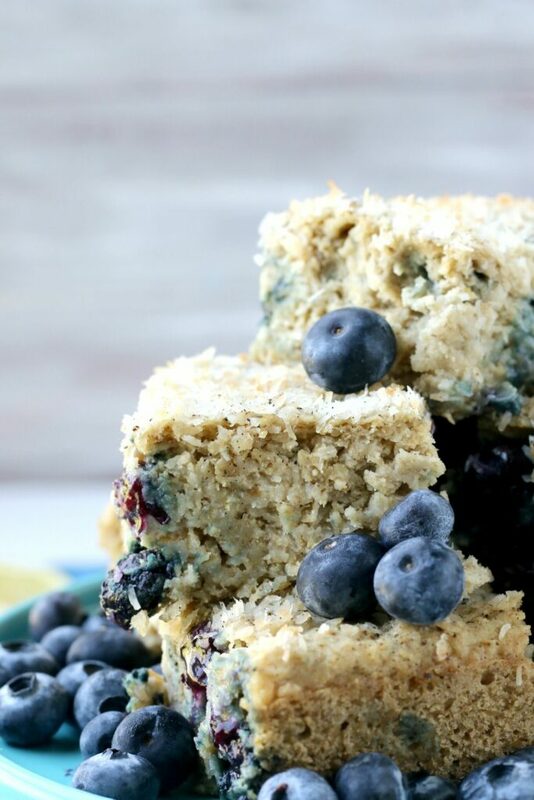 This looks like such a delicious way to use up the last of the summer blueberries! Absolutely! And when blueberries are out of season, that’s when I bring out my frozen berries. These look so terrific Nicole! Love the idea to make these for breakfast for my kids. I love having options for breakfast! I love these, because my oldest can take 1 and run out the door (he never sits to have breakfast anymore). is this as fluffy as it looks? oh so good – I cannot wait to make this one! This has all of my favorites! I love that it’s easy, simple, and refined sugar-free. Totally making this soon! Without all the bad stuff & loaded with the good! This looks so good and full of fab ingredients. I love using gf oats too! Loving the sound of this. GF oats are the best to have on hand, aren’t they? Oh yes Kortney….totally breakfast appropriate. This is beautiful + it looks so great! My kids would love this recipe! Aww, thanks Lindsey! My kiddos enjoy it…hope yours do as well. Will using regular eggs cause any difference? Regular eggs should work just fine as a substitute. I REALLY love that your recipes are ALSO dairy and egg free! It is soooooo hard to find a recipe that has all these components that actually works and tastes good! I recently made your chocolate chip cookie recipe and was so pleased with the TASTE, looks and EASE of the recipe! Thank you so much for putting out these recipes for those of us who are multiple- allergy challenged! Mary, you are so welcome and I’m glad you enjoyed the chocolate chip cookies as well. The biggest challenge we faced was finding recipes for multiple restrictions also which is why I love to bake so much! If you ever need a specific recipe, I’m always up for suggestions!